These are all symptoms of a project management process that isn’t working. One of the causes can often be traced to capturing work as % complete, which seems counterintuitive. Below are some reasons why tracking % complete hinders your ability to complete projects. Progress is estimated based on the duration, instead of the amount of work, for the task. Say you have a 5 day task and you are asked for an update 3 days after you start. You often report 60% complete. That assumes the 5 days is a correct estimate of the work. However, the work may be larger or smaller than the 5 days. Student syndrome complicates the problem. Many project teams drive tasks to the due date on the schedule. In student syndrome, the person doesn’t really start working on the activity until just before it is due. Then they discover how much work is actually required. The project is delayed as the team member needs to add time to the task because it can’t be completed by the due date, since they started late or underestimated the work required. Team members may hesitate to report a lower % complete or to add more time to the schedule, especially if they are badgered about why the work isn’t done. Capturing work as percent complete also tends to drive the discussion to status updates, which can sometimes become defensive. This can prevent a focus on how much work is still needed or roadblocks that are preventing the work from being completed. One of the best ways to shift from % complete is to integrate lean project management. Make the work visible to the team so everyone knows who is working on what, task priorities, and any planned handoffs. 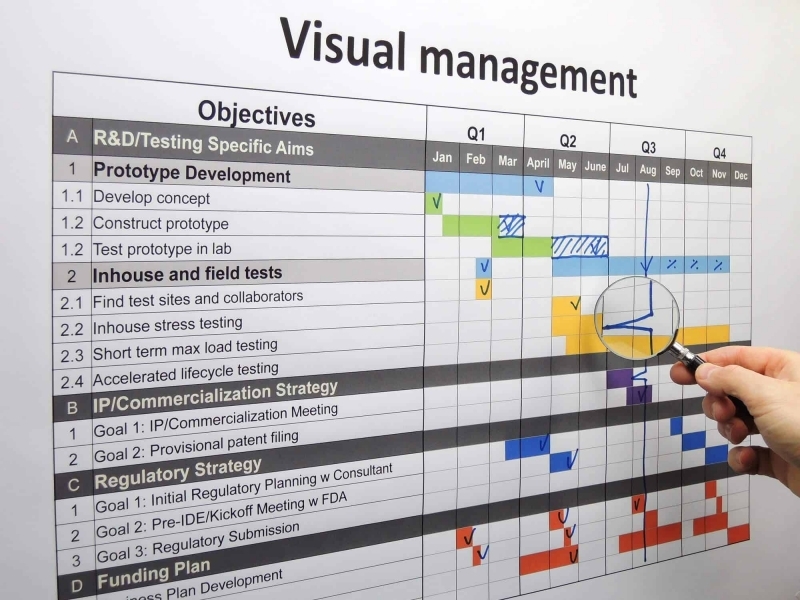 Visual project boards are a good tool. Collect frequent updates, by the individual assigned to the activity, to keep visibility and emphasis on work. Using an agile technique, daily stand-up meetings are ideal. Update the plan by asking how much time is still needed, not what was done. Use granular task durations of 1-3 days for work planned in the next 4-6 weeks. Longer durations for activities further out may be used. Integrate a rolling wave planning process to ensure the schedule is always realistic. Identify and resolve blockages to getting work done. Project tasks that seem stuck at 90% complete may be a consequence of collecting status on work that has been done instead of focusing on the work that is still needed. By changing your focus, creating visibility, and driving tasks to completion, you can see dramatic changes in your project completion.